How does it roll into a five-pie circle? Knitting beginners knitting in a five-pin twin-crocheted circle seem like science fiction. Of course, the situation is not as complex as it looks. 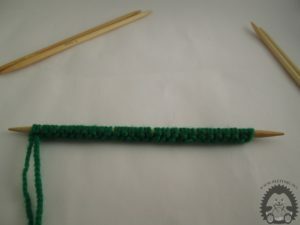 This way of working is suitable for making smaller items, caps, gloves ... You can look at our gloves on our site with knit items. The standard procedure is to arrange the eyelets on four pins, and the fifth petticoat. 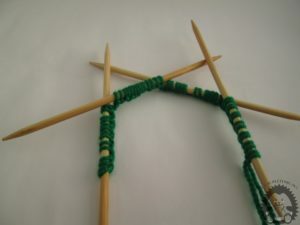 Of course, if you are doing a smaller object, it is enough to arrange your eyelets on the three pins, and the third coat. In one needle, set the number of eyes depending on the work you want to make. 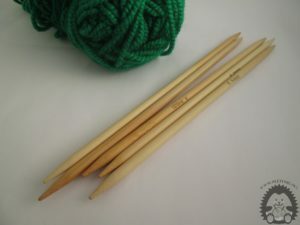 Apply the eyelids to four pins so that each needle has the same number of eyes. 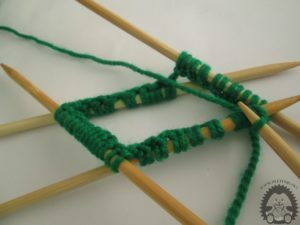 Place the needles on a flat surface so that the starting needle is on the left side, and the end that is still tied to the knitting thread should be on the right. Eyewear is nice to make sure you do not get tired. Take the fifth needle in your hand, pass through the first eye on the first needle and grasp the working thread and grip the right eye. So you'll connect a circle. Keep your first eye tight enough for your work to be solid and the circuit is properly and comfortably connected. Fill out all the needles from the first needle. When you tap all the eyelids, take it in your hand and knit the eyebrows on the next needle. You repeat the procedure. The end of the circle is always on the needle where your starting thread is. 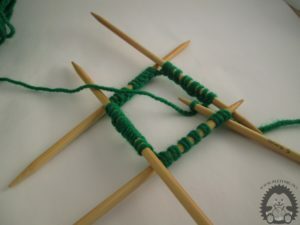 For a better understanding visit ours Youtube channel and see our video How to knit into a five-pie circle.